Took a break from some duties to draw this. A drawing every comic book artist has done... at some point. 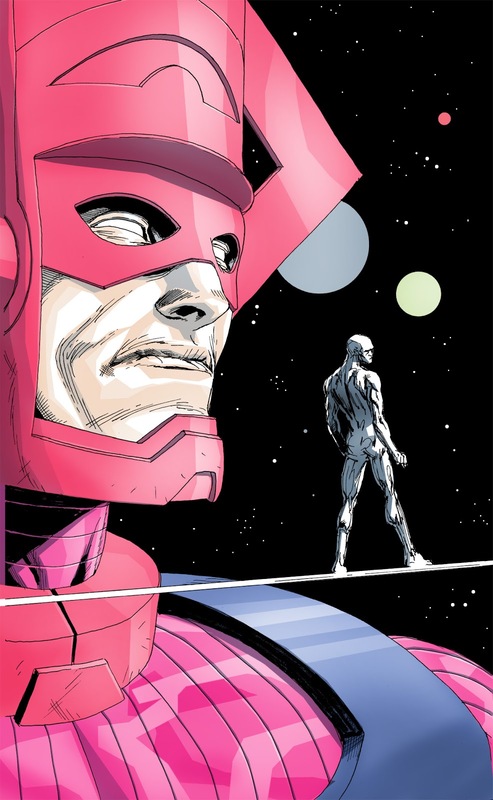 The Eater of worlds and his Herald. 8.5x14. Ink Pen and Marker. Click to see the deets. Took a crack at some colours. I'm no good and should never attempt again.